Toth Team Worldwide Network would like to provide you with local school information for Washtenaw County! Not only do we value education, but we also realize that a lot of home-buying decisions revolved around local schools. If you have children, you want to feel assured that they are attending quality schools, where they will be safe and will be receiving the attention they deserve. If you don’t have children, it’s still important to take note, because school ratings directly affect home values. Because this is such an important topic, we have provided you with the information below, and we discuss this with our home-buying clients as well! Contact us with questions or for home-buying assistance. While WISD coordinates the efforts of local boards of education, it has no operating authority over the schools. Local school boards in Michigan retain autonomy over day-to-day operations, helping schools to be more locally focused and connected with their communities. In total, there are 112 primary and secondary schools in Washtenaw County, with 95 public schools that serve 44,356 students. The diversity score is 0.58, which is higher than the Michigan average of 0.52. There are 30 high schools, 21 middle schools, 59 elementary schools, 17 preschools, 94 charter schools and 42 private schools. Zillow shares school ratings based on a comparison of test results for all schools in the state. Dexter High School has a rating of 10, the highest rating, with 1,166 students. Honey Creek Community School was the second highest rated, with a score of 9. For school systems as a whole, Saline schools received a rating of 9, Dexter and Ann Arbor school districts received a rating of 8, and WISD as a county received a rating of 8. The median score for Michigan schools for the 2016-17 school year was 71.69. Nearly two-thirds of Washtenaw County’s 95 public schools rated above the state median score. Twenty-one schools rated above 95 points. 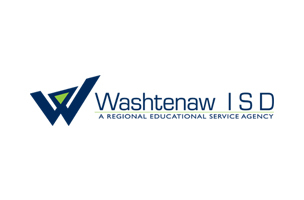 Washtenaw International High Schools received a perfect 100. You can also view Niche ratings, where for 2018, the top rated elementary schools were South Arbor Charter Academy and Angell School, with A+ ratings. Top middle schools were South Arbor Charter Academy and Claque Middle School. Top high schools were Huron High School, Pioneer High School, Washtenaw International High School and more, all with A+ ratings.